The study based on an online survey covering 655 researchers from hard and soft sciences addresses the influence of different conditions on academic publishing. 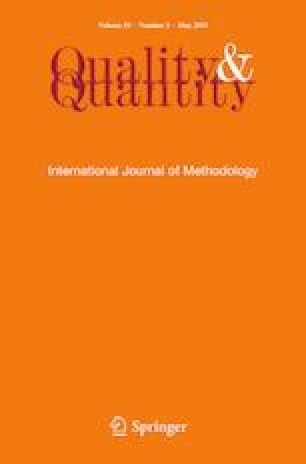 Results show that (1) hard sciences academics publish more than soft sciences; (2) there are resemblances in academic publishing; (3) there are differences in the sufficient conditions sets for the two groups of sciences which may be explained by differences in scientific conceptual frameworks and research methods applied in each group of disciplines; (4) conditions leading to the absence of publishing reveal similarities and differences among hard and soft sciences academics. The study contribute to: (1) the debate on the questionable generalization of scientific publications indexes and rankings due to the nature of research published coming from different scientific universes; (2) identify pathways for achieving higher performance in academic publishing; (3) allow research centers’ managers to better manage the centers aiming to achieve upper output levels. The authors are grateful for the support provided by CAPES (Coordenação de Aperfeiçoamento de Pessoal de Nível Superior - Brazil), CNPq (Conselho Nacional de Desenvolvimento Científico e Tecnológico - Brazil) and FCT (Fundação para a Ciência e Tecnologia - Portugal) under the project UID/SOC/04521/2013.